Malte Range, dobrovolník EVS v České radě dětí a mládeže, líčí v následujícím textu víkend, který strávil s Ligou lesní moudrosti – organizací Aleše (Sedláčka, předsedy ČRDM, pozn. red.). Byla to zážitkově-vzdělávací akce pro vedoucí, a protože se konala v Michalových Horách, poblíž německých hranic, měl Malte hrát zvláštní roli – potomka jednoho z odsunutých německých obyvatel. 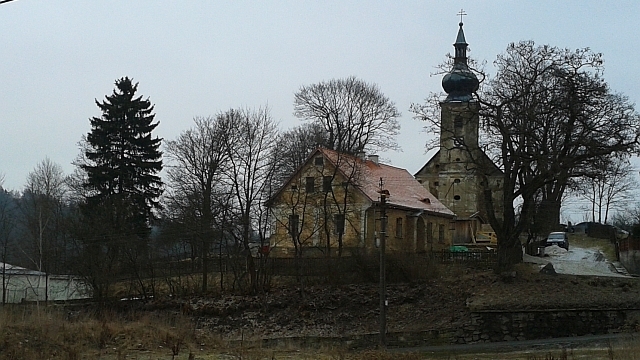 Jeho děd údajně v místě žil a zanechal tam prý někde poklad, který měli účastníci hledat. Malte během víkendu zažil mnohá překvapení a nepředvídané události, počínaje večerní zahajovací indiánskou potní lázní (initipi), přes snahu získat jeden z klíčů k pokladu na kánoi, noční bloudění lesem a pátrání v jeskyni, až po vyvrcholení, kterým byl pochopitelně nález pokladu. 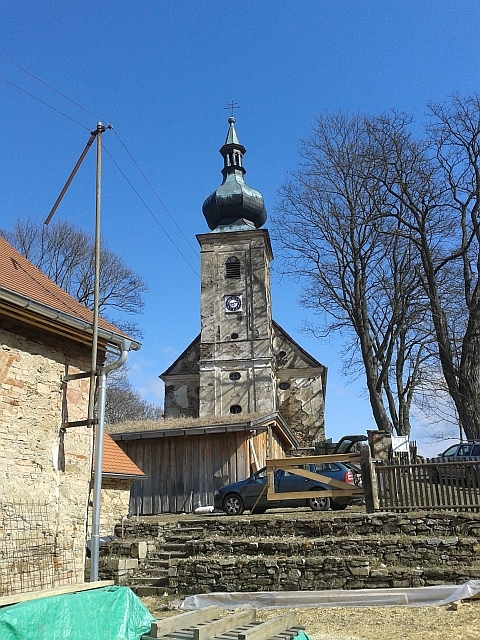 Last week I joined a weekend activity from the organization of Aleš – Woodcraft. 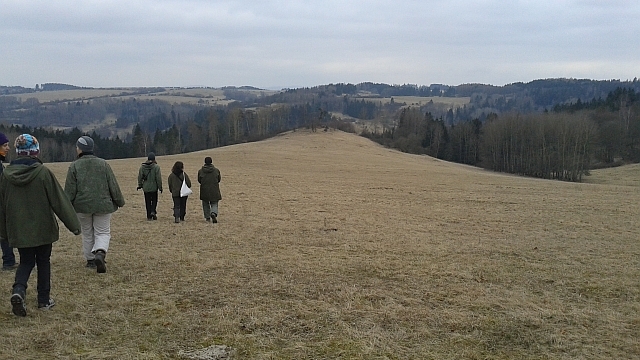 It was said to be a training for leaders of youth groups which took place in Michalovy Hory in the West of the Czech Republic next to the German border and I was invited to have an insight in some other association-work. There was something special about it because in advance I was told that I would play a role during the whole weekend concerning my (imaginary) grandfather who allegedly lived in that village and left a treasure the participants of the camp would need to find. 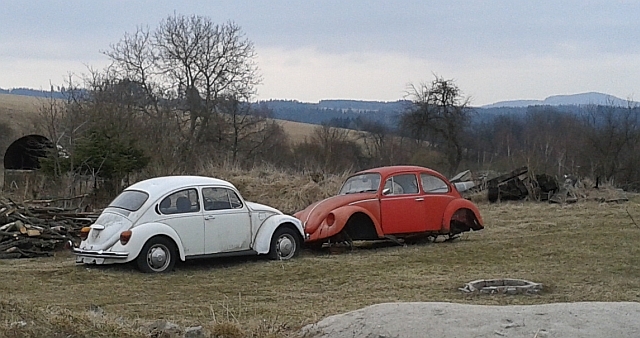 It was definitely one of the best weekends in the Czech Republic so far. It started on Friday evening when we arrived and were heading into the forest where a big fire and the Initipi, a sweat lodge of the Northern Americans were waiting. After the “medicine man” told legends, one after another got into the tent – without clothes, of course (I never thought I would ever do something like this). It was amazing. The atmosphere inside (with its pleasant 80°C degrees) was so good and it was another special moment during my EVS. After the Initipi we headed to the nearby river for a little cooling. And I mustn’t forget to say the outside temperature still was about 0°C degrees. I thought I would freeze to death, it was so cold but it was worth it in the end. To finish the day Ales brought all of us with a tractor and a little trailer to Michalovy Hory. Bumpy, narrow and windy describe it the best. The next day we started with a nice breakfast and some group work. Three groups had to present their results of leader activities and it was mixed with some creative tasks. At the same time the riddle about my “grandfather” was introduced to them and during the entire day they had to find clues for the whereabouts of the treasure. After the first group we took a little walk through the little, beautiful village finally ending up at the river. Canoeing was the next surprise. With the clothes we were wearing we had to go upstream to find one clue. Unfortunately, it was a pretty wet and cold matter for some pairs who have fallen into the water. Actually, I really didn’t want to do it because it was cold as hell and I had already a little cold. But, of course, as I wouldn’t have expected I did it, only with a shirt and barefooted because I wanted as few clothes as possible to become possibly wet which didn’t happen, at least. 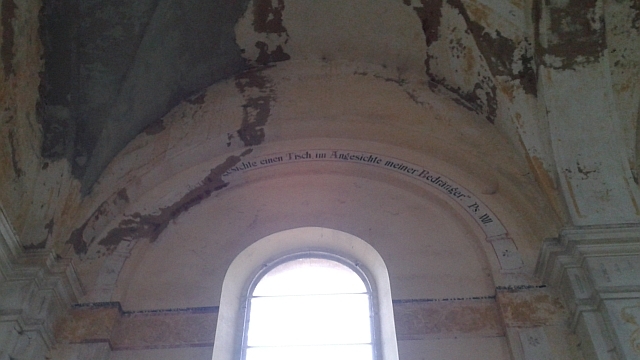 In the afternoon we visited an old church in Boněnov where I discovered German phrases on the wall. Until evening we were hiking through the landscape mixed with some learning about the nature and trees. But the most interesting part was just about to come in the evening. First, I was fighting through the dark forest accompanied by one more girl to find a cave and one more clue. But it turned out we had chosen the wrong path so we needed much longer. Finally there, the leaders where waiting for us and with a lantern we entered the cave and found the clue in its middle surrounded by a candle light. After that we had a great midnight snack and the ultimate search of the treasure could begin. Of course, it could have been no other place but the cemetery. The hiding place was really good and actually nobody expected the group to find it quickly but that was a mistake. I was witnessing when the little group I was with just discovered it. I was just pretending to search, of course. The box they found was handed over to me since it was the one from my grandfather. Now it was becoming interesting. I was kneeling on the ground, pretending to be so overwhelmed and positively shocked so everybody could hear my breath when I was opening the treasure. There was a fake old-looking letter of my grandfather, an old camera and jewelry inside. While reading the letter I tried to play the role as convincing as possible pretending to cry so I hoped everyone would believe me. And the result was nice. Almost everyone believed my story when we solved the riddle the next morning standing in a circle over Michalovy Hory.